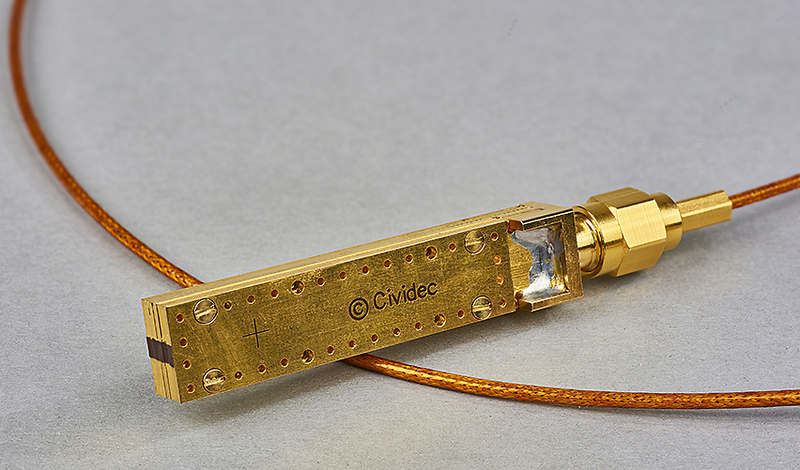 The B6-HT High-Temperature Thermal-Neutron Diamond Detector is used for the measurement of thermal neutrons in hot environments and confined spaces. The maximum operating temperature is 200°C. The detector fits into rods of 1/2 inch inner diameter. For the calibration of the detector with alpha particles, an aperture is foreseen on the rear side of the detector.